(Apple)Shown in the photo is the current version of the MacBook. Rumors claim that Apple may release the MacBook 2017 in October. While many Apple fans are anticipating the release of the iPhone 8 this year, it is not the only Apple device that is to watch out for as it is suspected that the Cupertino-based company will also release its latest MacBook this year. The last time Apple offered an upgraded MacBook was last year when it released the latest MacBook Pro with OLED Touch Bar via its October event. As the company has not released an upgraded version of the regular MacBook yet, it is suspected that Apple will finally release its MacBook 2017 later this year, specifically a year after the latest MacBook Pro was released. 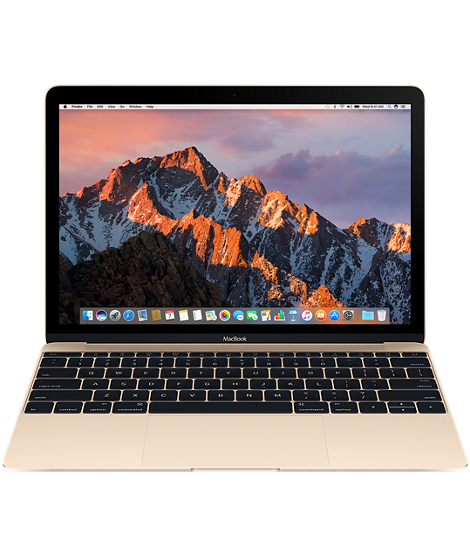 Although it remains uncertain whether Apple fans will really be treated to a MacBook 2017 this October, there are already numerous rumors on what the upcoming Apple laptop will offer. Reportedly, the MacBook 2017 will be available in two variants based on its RAM: one to come with 8 GB and another with 16 GB. It is also alleged that the MacBook 2017 will boast of longer battery life and enhanced performance as it will pack the latest Intel processor, the Kaby Lake. While the Intel Kaby Lake processor is already expected to impact the battery life of the MacBook 2017 because of its improved speed that will achieve more in a lesser time, it is rumored that Apple has been working on a new chip code-named T310 that will improve productivity performance by as much as 12 percent. The said chip is also alleged to provide the laptop with a "Power Nap" feature that will make its battery last longer. Meanwhile, the latest reports suggest that Apple has applied for a patent that will enable the iPhone to be converted into a sort of MacBook in the future. Based on the leaked images of the said patent, Apple is toying with the idea of coming up with an iPhone that can be attached to a MacBook-like shell accessory, enabling its users to do more with the phone in the future. Before that can become a reality, though, Apple is expected to release three more MacBook models this year as, apart from the MacBook 2017, the Cupertino-based company is also suspected to release the latest versions of its MacBook Air and the MacBook Pro this 2017.